A few months ago, Intel released the celebratory limited edition Core i7 8086K CPU – the first 5GHz (on a single thread) CPU Intel has ever released. These CPUs are by and large identical to the more familiar Core i7 8700K, but offer a guaranteed 5GHz clock under certain light or single-thread workloads. 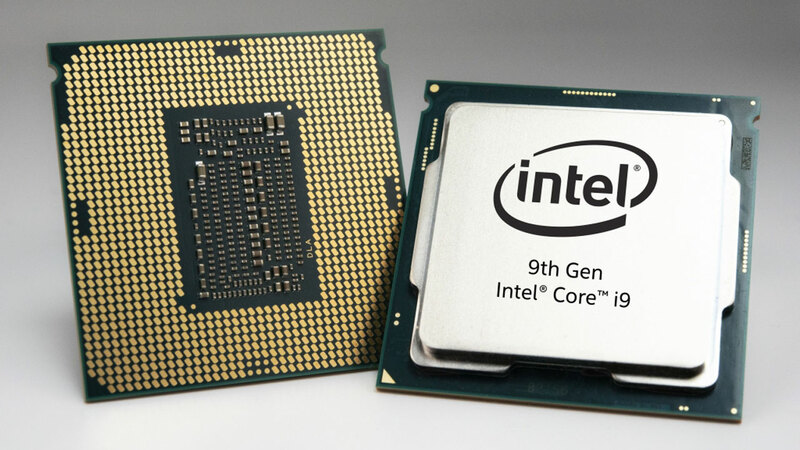 Going beyond simply offering a higher frequency, the 8086K is (or was, at least) perhaps the best showing yet of what Intel’s manufacturing process can achieve. This isn’t a research-based statement, but for the most part the average 8086K has better overclocking headroom than the 8700K CPUs from which they’re derived. Some suspect that these are binned wafers, while others suggest it’s just process tuning and maturity that allows for the increase in clock frequencies. The truth is it’s something that’s not easy to discern, but I’d imagine both theories could be valid, even though I’d personally lean towards the maturing (or rather refining) of Intel’s manufacturing process. After all, Intel refers to this manufacturing node as “14nm+++”, which they’ve previously elaborated on at length. This review isn’t the appropriate place for these technical details, but it’s worth mentioning that the reason we now have a 5GHz, eight-core CPU in the familiar 95W TDP envelope, is directly related to the same manufacturing refinements and optimisations that gave us the 8086K. I’d be remiss if I didn’t mention that, in terms of core counts, we have Intel’s chief competitor AMD to thank for the boost. 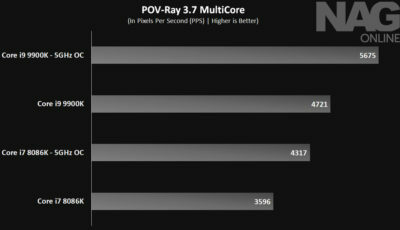 Had AMD not introduced such offerings in the desktop space, then we would have likely had to wait longer for Intel to offer us CPUs with more than four cores. Now that we finally have an eight-core CPU from Intel, it’s easily the best-performing option in the market space, and the results speak for themselves. 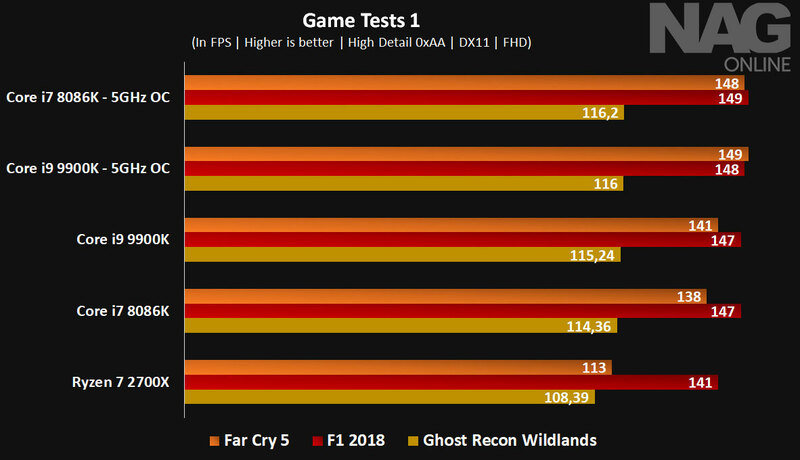 Given just how dominant the 8700K and 8086K have been in terms of gaming performance, this was practically a forgone conclusion. 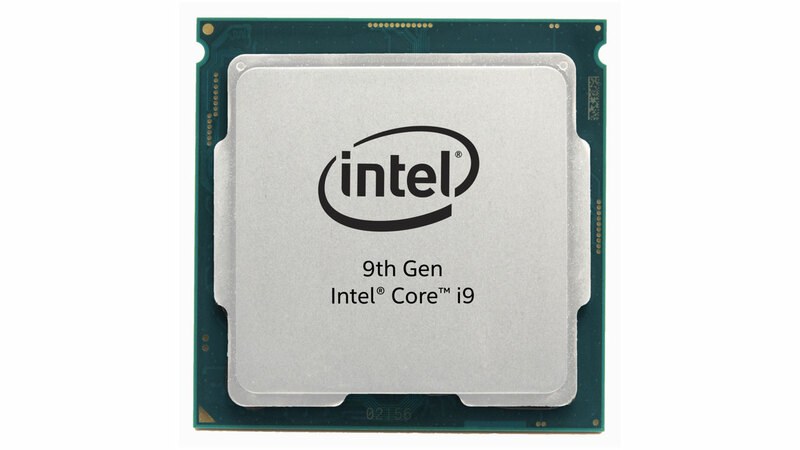 According to Intel, the key components (note that these aren’t new features, but they’re nevertheless key selling points) of this ninth-generation CPU family are the familiar Turbo Boost 2.0, a fully unlocked CPU and graphics core, Quick Sync Video, and Intel Optane memory support (which is more chipset side than CPU-related, I’m led to believe). For us, the enthusiasts, overclockers and gamers, what all this boils down to is the best showing of what the Coffee Lake family can do. This family is of course similar to what Kaby Lake originally offered a number of years ago. Some may find this disappointing, but I’m of the mind that if something isn’t broken, then there’s no need to fix it. In recent years, (stemming from the overclocking crowd), removing the IHS (Integrated Heat Spreader) has been the only way to make the CPUs liquid nitrogen ready, and to reduce operating temperatures while potentially increasing performance (it’s known as “delidding”). This was as a result of Intel moving away from the solder used to bond the core and the IHS to what was argued to be a more reliable (or appropriate) thermal paste. We’re not here to debate the merits of that argument, but it ultimately translated to higher-than-normal operating temperatures – and therefore reduced overclocking headroom. Delidding is a viable option, but the process isn’t without risk, even though there are a few reliable, mostly safe tools which help facilitate things (Delid Die Mate, for example). At the very least, it compromises your warranty – which on a costly CPU isn’t something you’d want to do on day one. 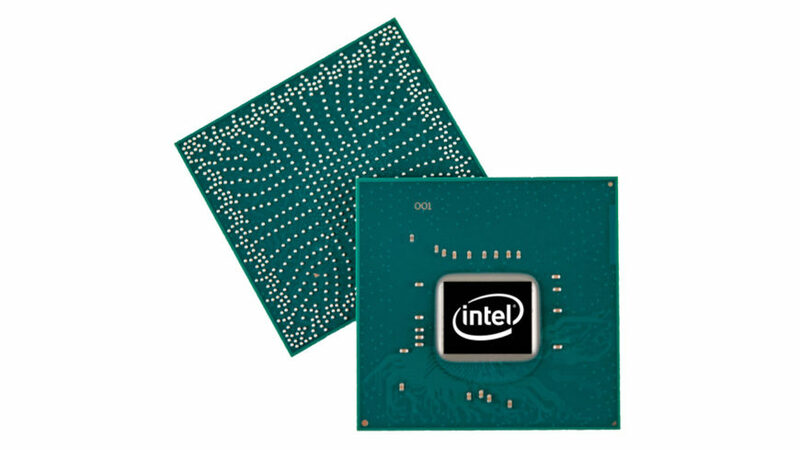 With the ninth-generation Core CPUs, Intel has brought back the solder as the thermal interface material, and we now have no need to delid CPUs. 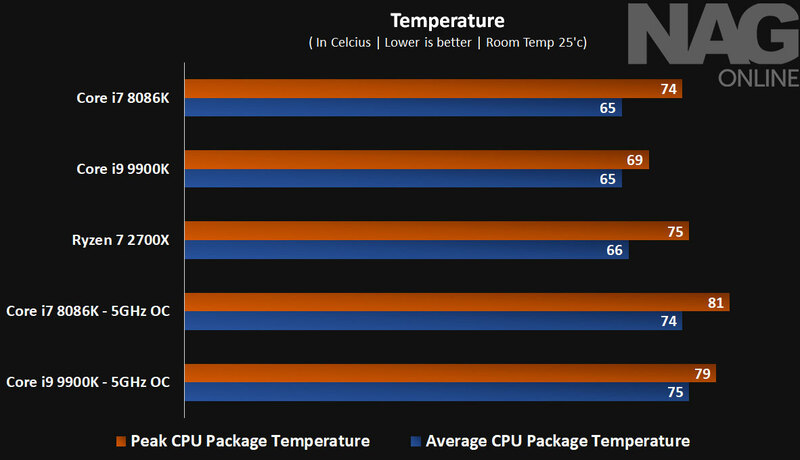 It’s a plus for us, but it also means the CPUs have better thermal performance (for the most part), which in turn helps with higher clock frequencies. In the case of the Core i9 9900K, process optimisations and the new thermal interface material seem to have resulted in a 95W, 5GHz, eight-core CPU. 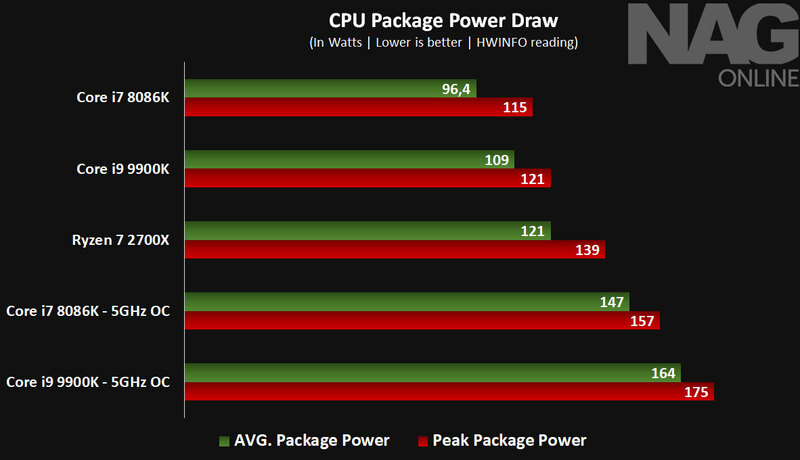 Keep in mind that all previous eight-core CPUs from Intel had a TDP of 140W. Yes, these are HEDT parts – such as the Core i7 7820X, which features four memory channels. However, managing to get that down to the lower TDP at a higher clock frequency is impressive, and is clear evidence of just how much the manufacturing process has improved. The Core i9 9900K officially offers an all-core base frequency of 3,600MHz – but based on my testing, it actually seems to hover around the 4.3GHz mark. 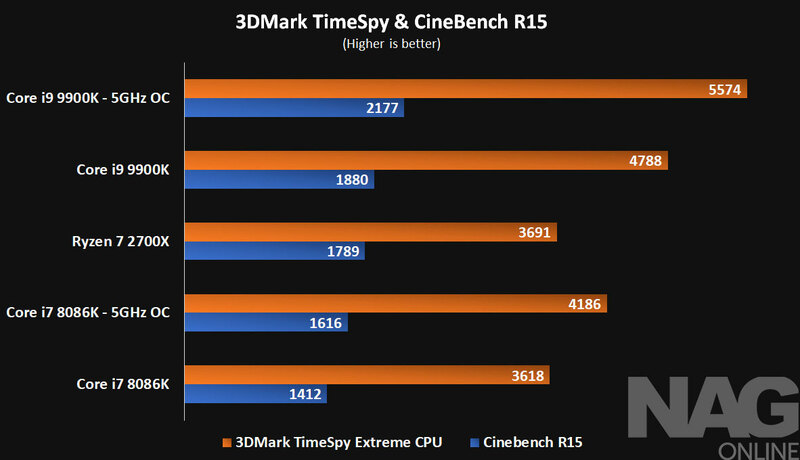 This is due to motherboard vendor clock optimizations (all-core boost, for example), but the 9900K is more than capable of maintaining these high frequencies at the CPU’s reference voltage. Compared to its direct predecessor, the Core i7 8700K, this model not only offers four more threads, but also a larger cache to match. 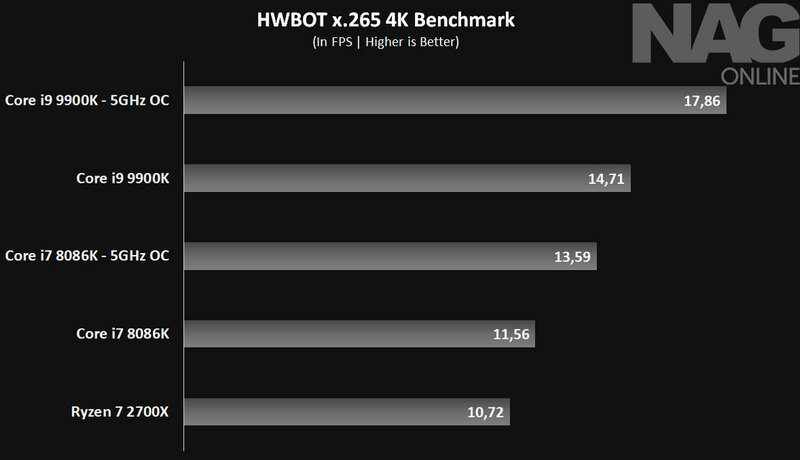 Even though the 3.6GHz base clock is 100MHz lower than what’s specified for the 8700K, for the most part that’s purely academic – or at least to the enthusiast, gamer and overclocker demographic it is, because of motherboard vendor optimizations. The important part is the Turbo frequency, and this is where the 9900K pulls out another surprise, allowing not one, but two cores to operate at the 5GHz frequency should power and thermals allow. That’s a direct improvement over the 8086K, which is sometimes criticized for only being able to use the 5GHz Turbo frequency in limited cases and for brief moments at a time. 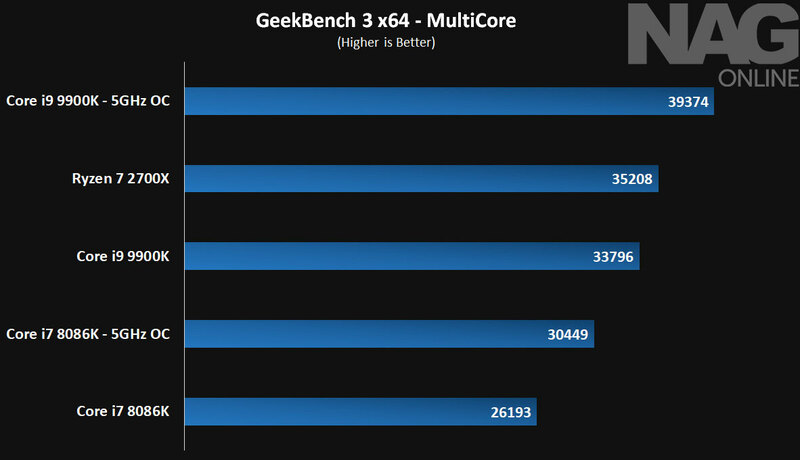 This isn’t the case here, and two cores running at 5GHz provides obvious benefits to performance versus a single core at the same frequency. In my review of the 8086K, I said it was the fastest gaming CPU money could buy. What Intel has done here (regardless of how impressive or not it may be to you) is increase productivity application performance via the two additional cores and matching cache. From a strictly gaming-centric perspective, the most significant gain for the 9900K is the additional 5GHz-capable core via Turbo 2.0. 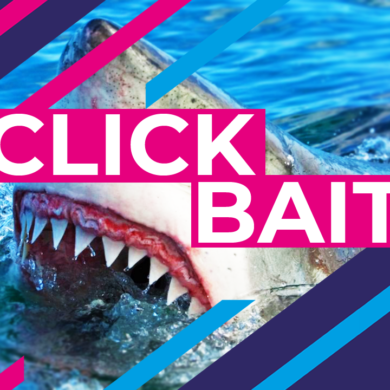 That brings me to something which one would have previously thought obvious, but perhaps isn’t, based on what’s currently circulating throughout the internet. 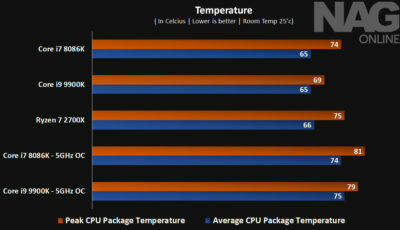 The Core i7 8700K was a fast gaming CPU, the fastest for its time. 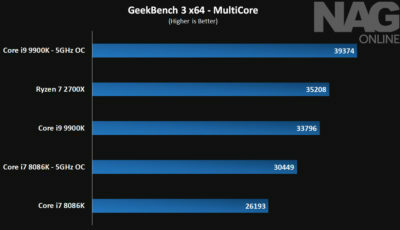 The 8086K extended that lead slightly, and now the 9900K is pushing that lead even further. Whether or not you’ll be able to notice and appreciate the gains it provides while gaming is not the issue. 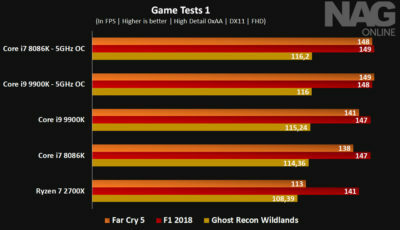 As you can clearly see in the graphs, many titles are GPU-bound, even when using a fairly powerful GTX 1080 Ti graphics card at FHD resolutions. The issue pertains to how much wider the appeal of the CPU is when all these changes are factored in. 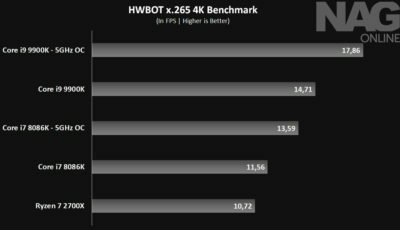 In other words, regardless of the raw compute power differences between the 8700K and the 9900K, it’s unlikely that you’ll be able to easily perceive or measure any surface-level improvement to your gaming experience. 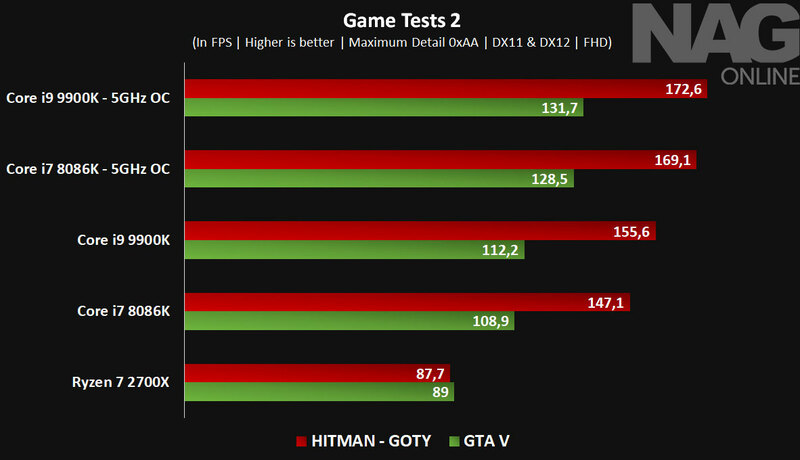 The bottleneck isn’t the host CPU, but the graphics card – and in many ways, perhaps it’s the fault of software which simply doesn’t scale well (or at all) with increased core counts. While the eighth-generation Core i7 parts were peerless in gaming performance, there were still a great many reasons why users would ultimately opt for the competing CPUs. Outside of pricing differences, if you used heavily-threaded applications and you weren’t able or willing to spend more on the HEDT parts, you had little choice but to go with the competition, despite the weaker single-thread performance. 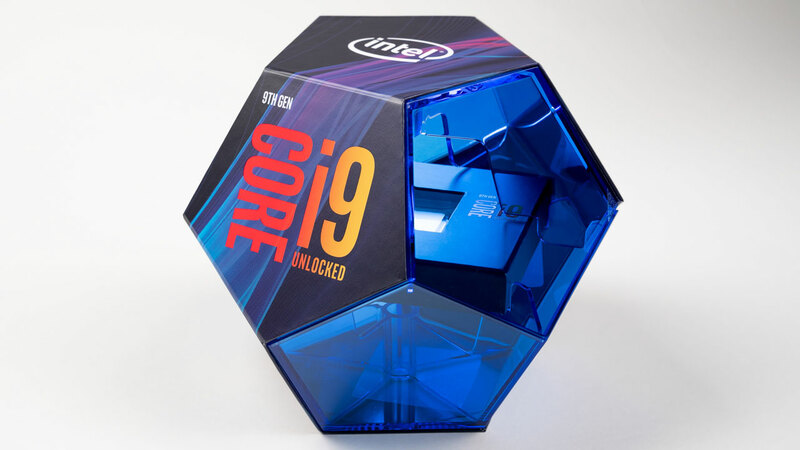 The 9900K remedies this, and as it stands there’s no technical reason why one would pick the competition’s eight-core part over the 9900K, assuming money isn’t the issue. Performance dominance in the desktop space is no longer isolated to gaming, but in productivity applications as well. The new lead here means the Core i9 9900K is unquestionably the fastest CPU money can buy outside of the HEDT space. Some may think that’s not much to get excited about, and certainly not worth a new chipset, new motherboards, and a new iterative family name. 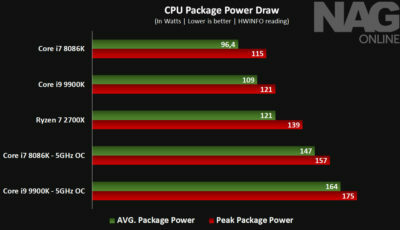 For the most part I can see the logic behind this argument, but bear in mind that the matching Z390 chipset brings some changes which, together with the new CPU family, make it entirely reasonable to introduce this as a new generation – one that’s similar, but separate from the eighth-gen processors and Z370 chipset. As for raw performance numbers, the graphs speak plenty. The differences between the CPUs in question when gaming are minor, but they’re massive where productivity, content creation and multi-threaded applications are concerned. Whether or not these gains are worth the asking price will be entirely up to you to decide. Technically speaking, what the Core i9 9900K offers is without equal. 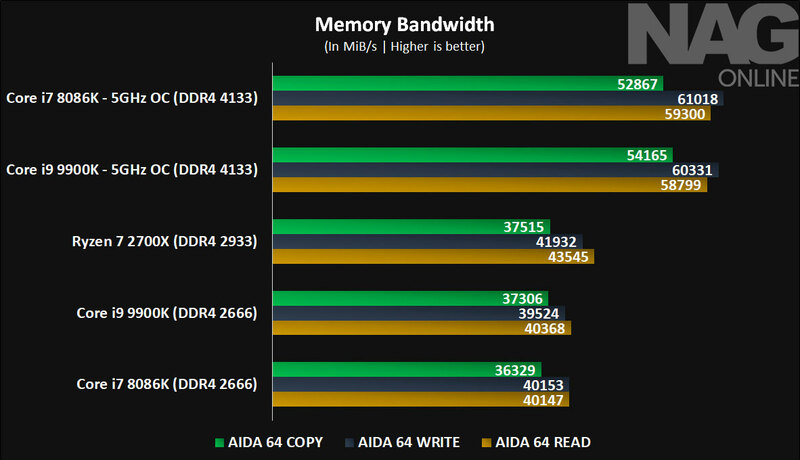 It boasts the highest single-thread performance and the highest multi-threaded performance in the space. One might’ve initially thought that eight cores would cause problems with heat, but thankfully the solder TIM deals with that readily, and just as you could operate the 8700K and 8086K at 5GHz, you can do so here as well. The difference here is that you get to have more cores operating at this frequency. Where there may be some compromise (and this one is for the overclockers) is when it comes to NB frequency, or Uncore frequency. This could be specific to my particular review sample, but reaching a stable 5GHz NB frequency clock was challenging. In fact, the overclocked figures that you see on this page are with an NB frequency of 4.5GHz. This obviously has an impact on measured memory bandwidth figures against the overclocked 8086K, but 4.5GHz is still plenty for the NB frequency anyway. 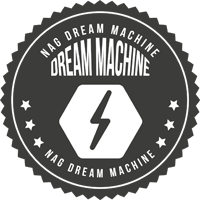 Should you want to further optimise performance, it’s best to turn to memory sub-timings, which can lead to greater gains than simply having a high NB frequency. This is true with liquid nitrogen cooling as well. I tested a Core i7 9700K (also an eight-core part) to which I had momentary access, and that too had some stability issues with the NB clock above 5GHz. That didn’t prevent the CPU from reaching some wonderful frequencies though, running as high as 6.76GHz. Overall, there’s not much else to this CPU, outside of the new thermal interface material, the additional cores, and of course the associated cache that goes with it. Intel has also dealt with some of the vulnerabilities revealed in previous CPUs, better known as Spectre, Meltdown and L1TF. With the ninth-generation Core CPUs, these have been addressed via a combination of hardware, software and microcode updates, and these exploits should no longer pose a risk to your system. In closing, one has to acknowledge that it’s difficult to take a leading CPU or component and make it better in a readily appreciable way. Combine that with the much higher price tag than what the 8700K retailed for, and you can see why a quick, shallow glance at the technology would lead you to believe there’s nothing of value with the 9900K. The CPU shortage and scarcity doesn’t help as well. All these things factor into purchasing decisions, and they can be argued a number of ways. Still, it’s undeniable that technically, the Core i9 9900K (in line with its predecessors) is the fastest gaming CPU you can buy right now. From that perspective, this is as compelling a CPU as you’re going to get this generation. If you have the money and you’re looking to build the most high-end gaming machine you possibly can (and one that has the chops to do some serious number-crunching as well), this is the best CPU you can buy right now. Personally I wouldn’t consider anything else at all, especially when paired with a matching Z390 motherboard. 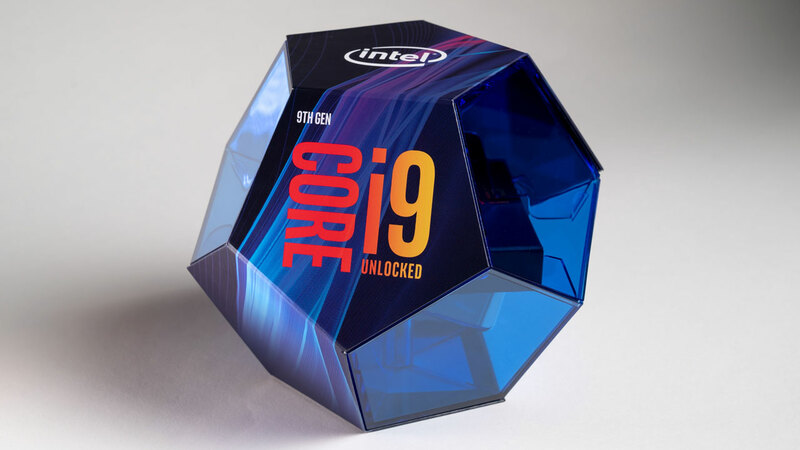 8The Core i9 9900K is literally the fastest gaming CPU money can buy at the moment – and since it’s an eight-core part, it’s a great CPU for content creators and others looking for the highest productivity application performance. It’s the high price tag alone which prevents this from a perfect score.